Alfred Hitchcock set the bar on this quirky wartime thriller, The Lady Vanishes, and now a new UK stage adaptation is using the Master of Suspense's movie as inspiration. The Classic Thriller Theatre Company is behind this latest production of The Lady Vanishes and I caught it at Malvern Theatres, where it stays until 23 March as part of a UK tour that also visits Bromley, Chesterfield, Stoke upon Trent and Barnstaple. 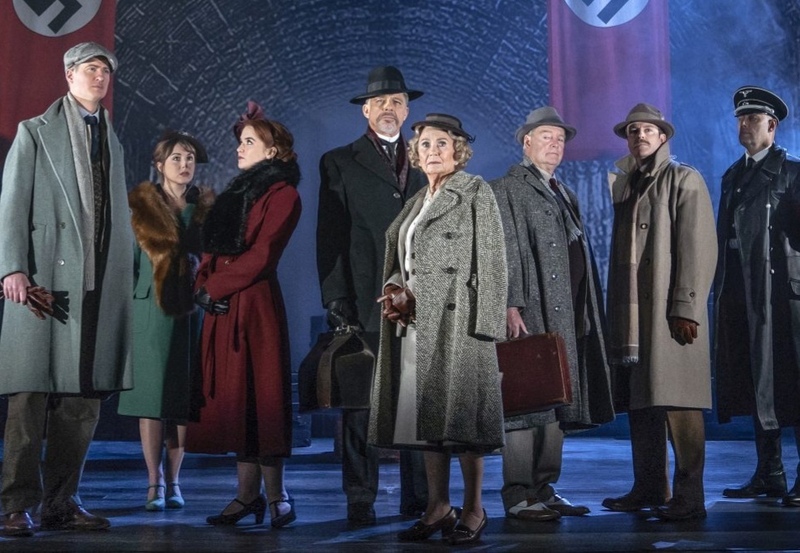 Rather than a who-dunnit murder mystery like the Theatre Company's previous offering of The Frightened Lady, this play is a thrilling adventure following a bunch of travellers as they leave Nazi-controlled Austria in the 1930's for Britain. 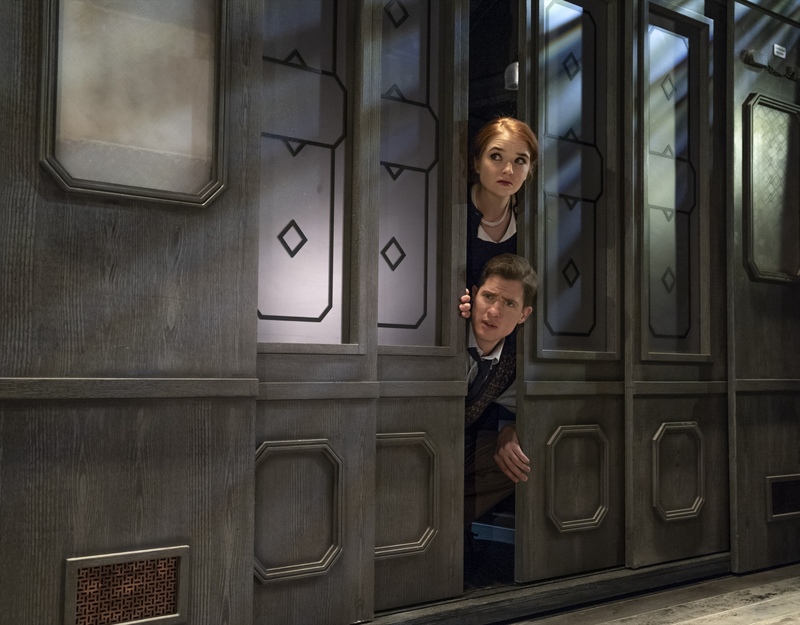 There's a cavalcade of likeable characters including fiesty young woman Iris, determined to track down elderly woman Miss Froy, who she made friends with on the train but who has mysteriously disappeared during the journey. Helping out Iris on her quest is daft but chivalrous Englishman Max and there's some lovely chemistry between Lorna Fitzgerald and Matt Barber playing the two. After all, the story is as much a romantic comedy as a thriller. If you think they look familiar, it's because Fitzgerald played Abi Branning in BBC's EastEnders while Barber starred as Atticus Aldridge in Downtown Abbey. Set before the Second World War, the plot is slightly tongue-in-cheek when it comes to the Brits abroad. There's the keep calm and carry on, tally-ho attitude of the adventurous leads along with a pair of cricket-obsessed gents. The lingo is also of that ilk, which all makes for a fun sejour into days gone by. Director Roy Marsden has made sure the action is pretty fast-paced throughout the two hour show but it speeds up into a riotous frenzy during the final 10 minutes with plenty of loud gunshots. Along with the plot, which pretty much follows the Hitchcock movie, this production is strengthened by a focus on the Nazi element of the story. The play opens in a train station where flags, soldiers and emblems weigh heavily on the mood and emphasise the menace of that time. There's also nods to historic elements of that era weaved into the plot, which work well. Added to this is a superb set that brings to life the train station and carriages during the journey. It's cleverly done and gives an impression of motion. The cast includes some Classic Thriller Theatre Company regulars like former Soldier Soldier actor Ben Nealon, but he's a safe pair of hands on stage and once again gives a strong performance as one of the cricket enthusiasts, Caldicott. He's partnered well with former Drop The Dead Donkey star Robert Duncan as his travelling companion. Other well known faces include renowned Emmy award-winning actress Juliet Mills and her husband Maxwell Caulfield as missing Miss Froy and brain surgeon Dr Hartz. You may remember Caulfield from Grease 2 or as Miles Colby in American soap opera Dynasty. They both are a class act on stage. For Coronation Street fans, there's also Philip Lowrie, who played Dennis Tanner in the soap opera, but the Theatre Company prides itself on taking familiar faces from television on tour. 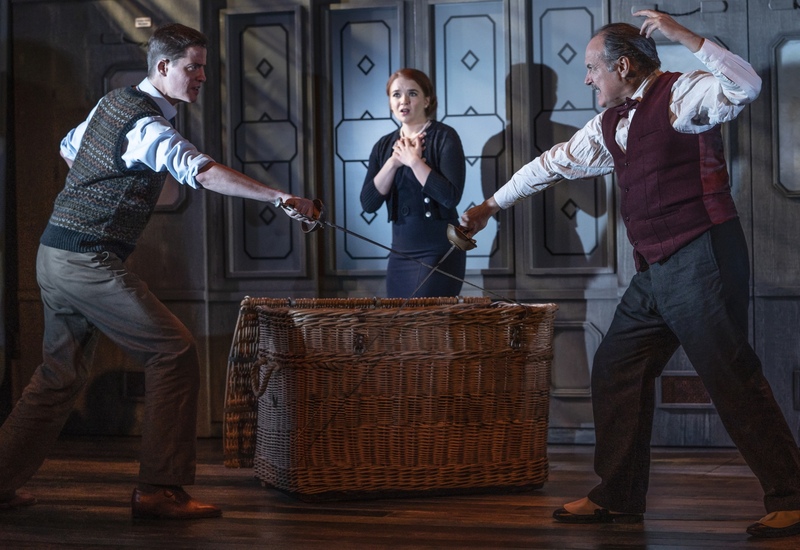 Building on the success of The Agatha Christie Company, the Classic Thriller Theatre Company was created and has since produced hits from Ruth Rendell, Edgar Wallace and Levinson and Link, who wrote Murder, She Wrote. Taking inspiration from a film for its latest production has worked out well for the Company as The Lady Vanishes is a riotous, engaging and slick production that will satisfy crime fans.